In many industries, one of the most important aspects of building your business and reputation revolves around the professional relationships you establish over the years. This is very true for contractors who are leading large scale projects using construction loans. When you were a small, independent contractor, you spent hours finding the perfect electrical team to bring to each project. Or perhaps, you scoured the region to find the most reliable and affordable drywall installation team. These partnerships happen, not only because they’re the best sub-contractors out there, but because you, as a general contractor, have established yourself as being timely, thorough, and excellent to work with. 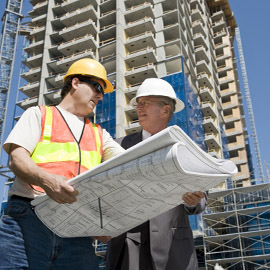 Your team of subcontractors and suppliers is what helped you gain a good reputation so that you could move on to larger residential and commercial construction jobs. You wouldn’t want to lose them because they weren’t paid on time or because the construction loan lender was impossible to get a hold of. Working with risk mitigation and funds distribution companies, like Granite Companies, can help you keep your reputation intact and continue the great relationships you’ve worked so hard to establish. 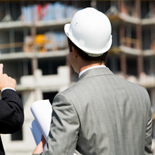 Granite Companies offers two different ways to distribute construction loan funds. The first is a standard funds distribution that disburses funds directly to the general contractor on the project, who makes sure they are distributed appropriately. 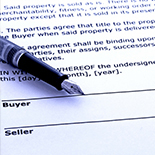 Another option is to use the Contractor’s Checkbook™ through Granite Companies. We then pay all the suppliers and subcontractors on behalf of the general contractor, making funds distribution simple and easy. Contact Granite Companies today to learn more about how we can help build and maintain relationships in all aspects of the construction loan process.